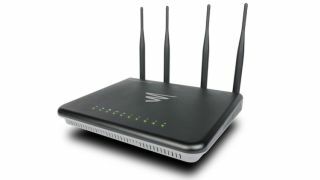 The What: Luxul has introduced a new AC3100 dual-band Gigabit router with a host of built-in features. Epic 3 integrates Luxul’s wireless controller with Roam Assist, remote network monitoring and management from Domotz, and cloud-based content management from Router Limits. The What Else: The Epic 3 router is compatible with Luxul’s access points (APs), allowing installers to add APs to maximize the performance and budget of each project. Capable of managing additional access points, the Epic 3 offers a reliable multi-access-point roaming solution for residential and small commercial networks. Luxul’s Epic 3 with built-in Roam Assist, Domotz remote management software, and Router Limits content management boosts Wi-Fi reliability while allowing users to remotely maintain the network to which it’s connected, and fully control their internet experience. Roam Assist provides seamless Wi-Fi connection throughout the home, eliminating problems such as low, dropped, or lost signals. Domotz remote management software allows installers to manage, maintain, and troubleshoot their clients’ networks from anywhere in the world. Router Limits content management puts end users in control of their internet experience by managing internet traffic; choosing which devices can access the web; what parts of the web are OK (or not OK); and the days and times the internet should be available. The Bottom Line: With the Epic 3, installers can create a roaming Wi-Fi experience for their clients and service their networks remotely. With Domotz remote network monitoring built in, installers receive alerts when issues arise on their clients’ networks, allowing them to fix problems before customers even realize they exist.